Rated 5/5 ★★★★★ on 75 combined Google reviews. Every trailer and truck has its limits beyond which they can’t be loaded. 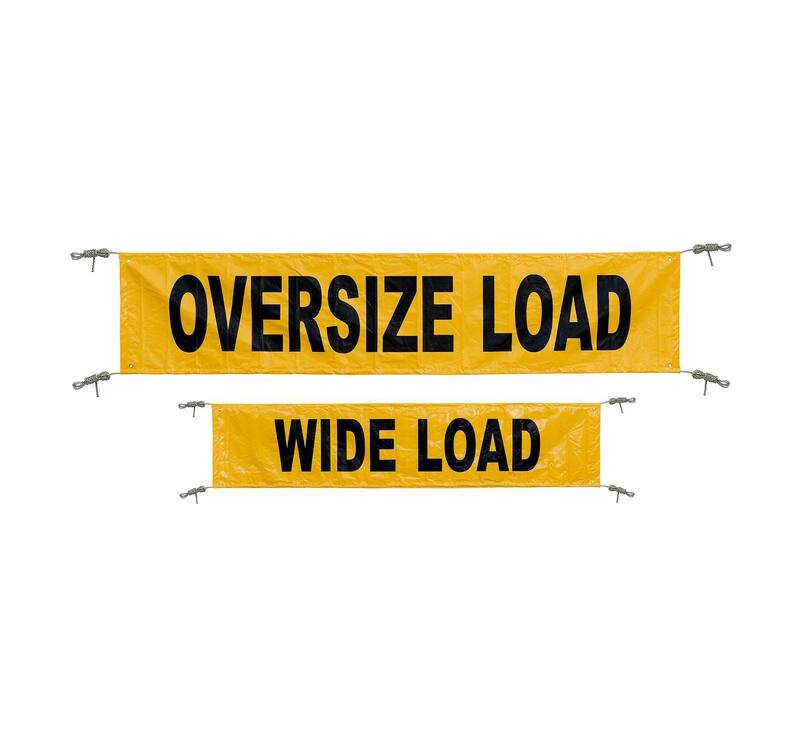 Most drivers are fond of overlooking these limits to load the trucks with loads they are not designed to handle. Many consequences may arise for not adhering to the limits. The first obvious one is that the truck will be prone to accidents which may lead to the item being hauled getting damaged. 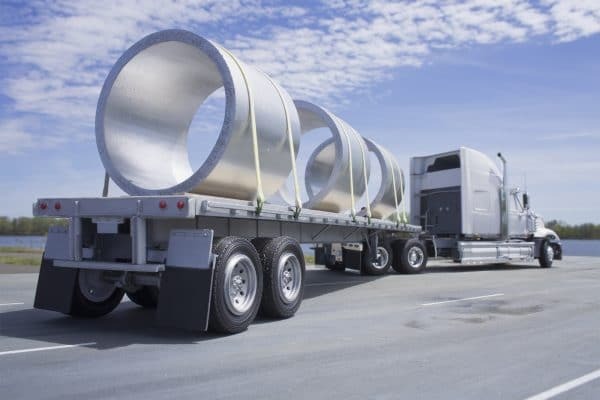 Secondly, since different provinces and states have regulations governing heavy hauling, the driver and the company may end up getting hefty fines or even a jail term. When you need to transport an over-dimensional item, you will need more than just a competent driver and the right type of truck. In most cases, you will have to get a special license or permit before you can transport an over-dimensional load in Canada. Most of the times, the permit will be valid for a single trip, implying that you will have to get a new one every time you have an over-dimensional load to be transported. Never undertake to transport such massive loads without a permit as this will attract fines or even a jail term. 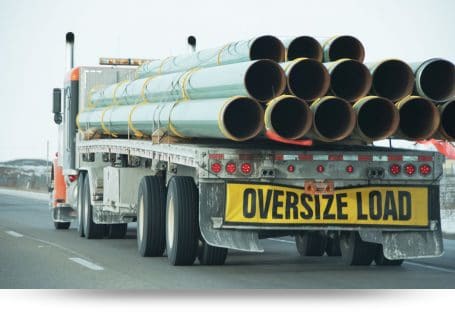 One of the most important things that must be done correctly when transporting over-dimensional loads is to secure them safely on the trailer. This is never an easy task and will require the experience and expertise of professionals as well as the use of the right equipment. Before the process of securing the load begins, an analysis should be done to ensure that all items needed to secure the load are available. The process should then be done slowly and with utmost care to ensure the load is well secured before the truck leaves for the final destination. Poorly secured heavy loads can easily lead to serious accidents, severe injuries and sometimes death of the driver or other road users. The nature of over-dimensional trucking in Canada leaves no room for mistakes. It is always a large undertaking which requires not just the right driver, but also strict adherence to all the safety protocols. A small slip is sufficient to cause a lot of problems not only for the company and the client whose item is being hauled but also a lot of inconveniences to the other road users. This is not to mention that even the smallest of the mistakes is sufficient to make the driver lose their license. The following is a brief look into some of the most important safety tips worth observing when transporting over-dimensional items in Canada. The first step towards safe over dimensional trucking in Canada is choosing a trailer that is most suited for the job. There are many types of trailer types, with the common ones being flatbed trailers, step deck trailers, gooseneck trailer, drop deck trailer and lowboy trailer. 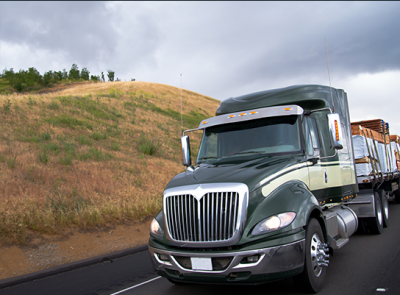 The choice of the right trailer calls for a thorough understanding of over-dimensional trucking or in-depth consultation with a qualified professional in the industry. 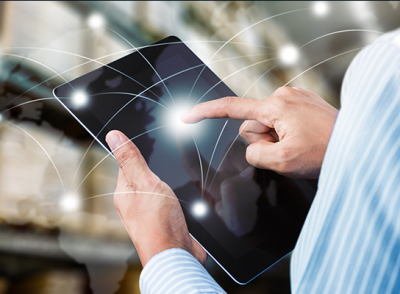 Know the regulations that govern over dimensional trucking in each of the provinces in Canada and the U.S. It is common for the regulations to vary geographically and the knowledge of these rules will enable you to avoid mistakes that might turn out to be very costly or have problems with the authorities which might make you lose with thousands of dollars in fines, and remember, ignorance of the rules is never a defense when you are caught in the wrong.